Water is essential to life. It is also a necessity for all of your hunting and camping expeditions. At GrabAGun, we know that having the right hydration system for your needs can sometimes make the difference in survival. From water filtration kits, to refillable bottles, to germicidal tables, to hydration packs, GrabAGun has the essential hydration units, whether you’re getting back to basics or looking for the most advanced system for your trip. For beginning outdoor enthusiasts, simple refillable bottle systems make useful hydration helpers during time spent in the great outdoors. It is always smart to pack items that are easily carried, so be sure to select an appropriate size and weight for your needs from our vast inventory. Canteens make perfect liquid containers that can be carried or strapped to an existing pack. Many of our reusable bottles work well with carabiners if they don’t already come equipped with one. GrabAGun also offers a wide variety of products from ultimate direction. 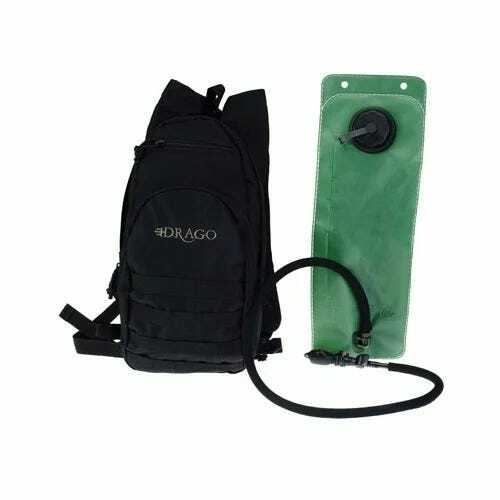 Many of their hydration systems come with easy to carry options: backpacks, waist straps, hand grips. In addition to the vital water supplying systems they are designed for, many of them come equipped with other functions. These multipurpose hydration systems are perfect for consolidating equipment into more manageable loads to carry. For our more experienced outdoorspeople, hydration systems designed for purification purposes are also available. A variety of steripens are compact and useful in making water okay for human consumption. GrabAGun offers a variety of Coghlan products that purify or aid in purifying water. Never find yourself without the possibility of consumable water with one of the many water treatment options offered at GrabAGun--the best source for all of your hydration needs for the world of outdoor activity.